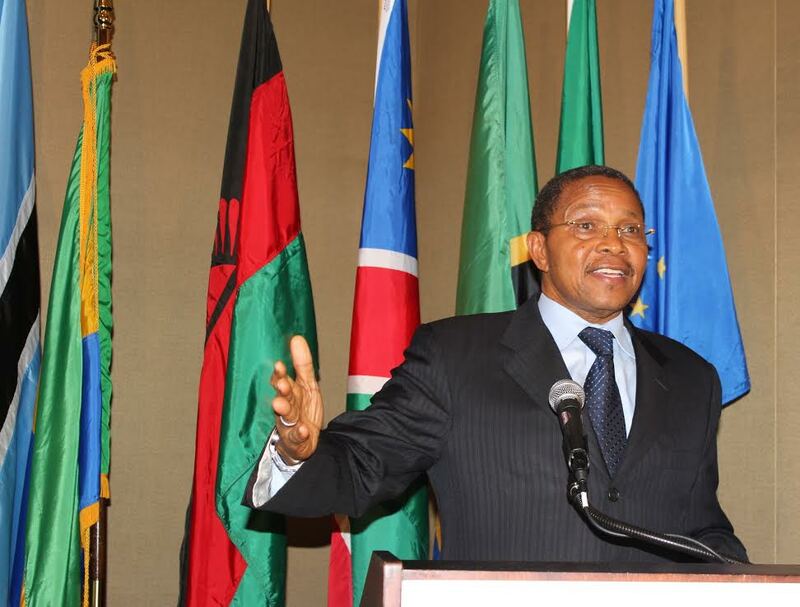 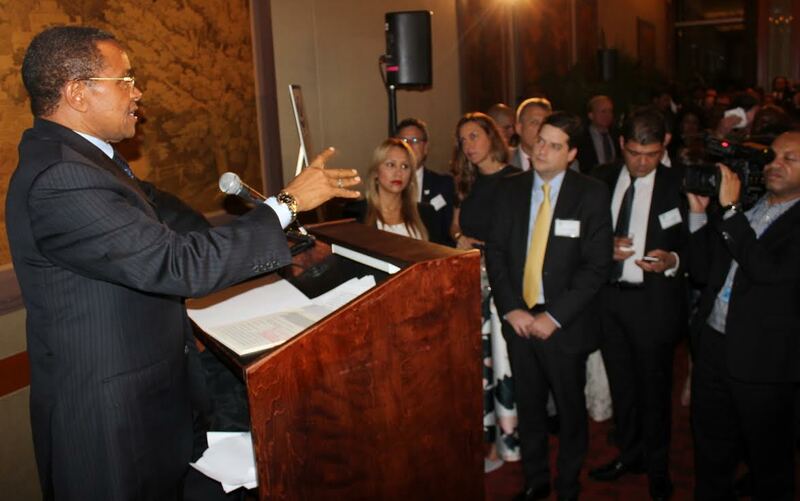 President Dr. Jakaya Mrisho Kikwete speaks during the International Conservation Caucus Foundation (ICCF) gala in New York’s Harvard Club whereby he called upon advanced nations to curb the sale of illegally acquired wildlife products in their countries as a way of combating poaching and illegal wildlife trade in Africa. 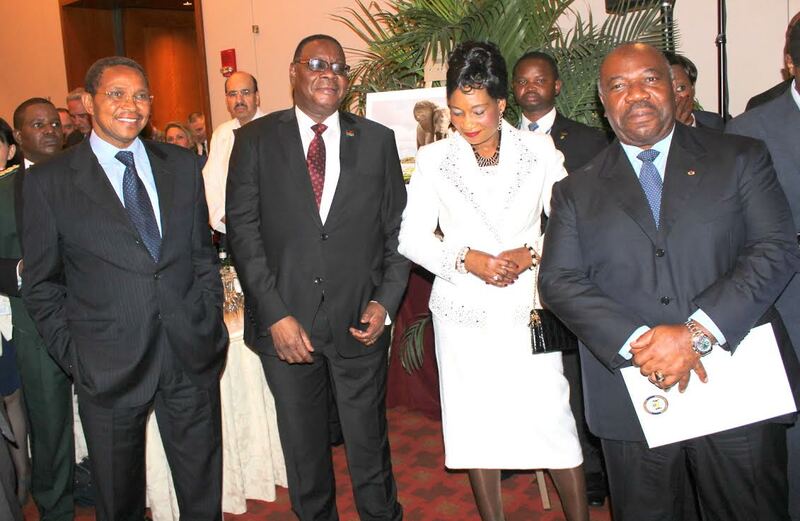 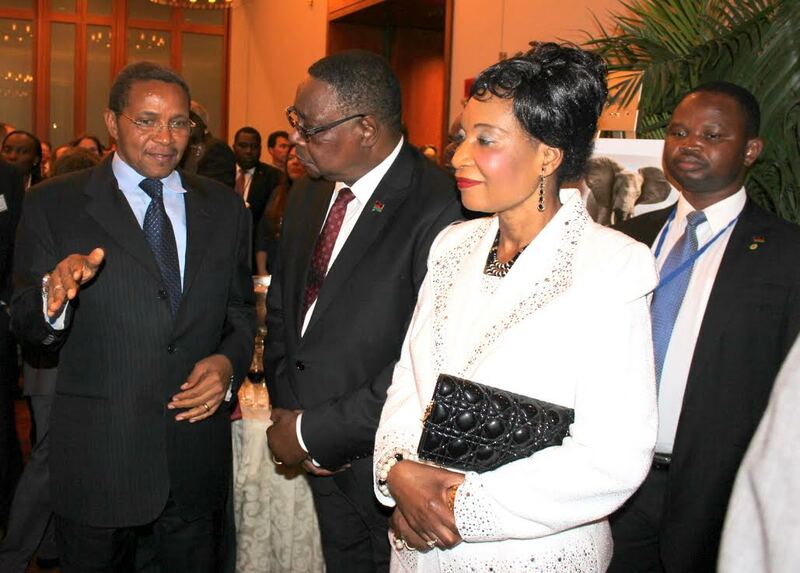 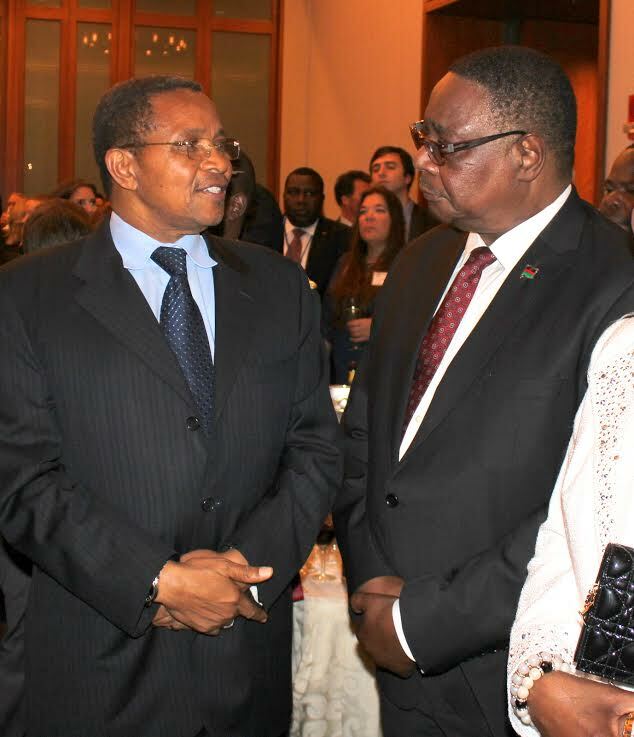 President Dr.Jakaya Mrisho Kikwete speaks with Malawi’s President Professor Peter Mutharika during the ICCF Gala held at Harvard Club in New York. 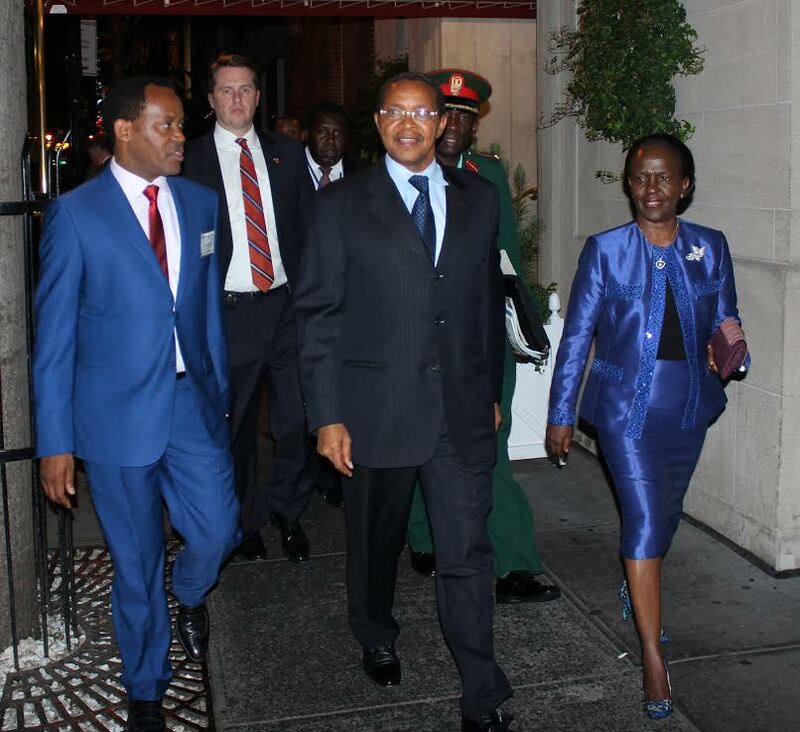 This entry was posted in Top Stories on October 1, 2015 by Ikulu Ikulu.